Yum? Custom 3D-printed steaks and chicken. How would you like your steak cooked, uh, printed? 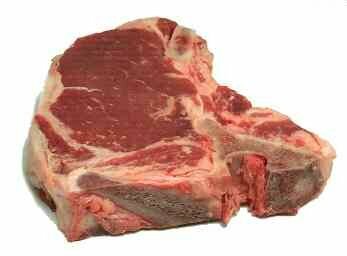 Imagine “printing” a steak as easily as you print a picture of one on your inkjet printer, then heading to the barbeque. Technology hasn’t gone quite that far yet, but it’s getting surprisingly close. “Bioprinted” meat is on the way. Soon, we’ll create steaks, chicken breasts and other animal products in the laboratory. A company called Modern Meadow is gearing up to do just that, starting with a slightly less controversial animal product, leather. It’s not as frightening as it might seem, and it’s not really instant “Star-Trek” style. It’s just a way of using bioprinting, which has been used by companies like Organovo to produce high-quality tissue and organs for research and medical applications. That, in turn, is derived from decades of research in producing organs for transplant. Meat is just a new consumer application of the process. Bioprinting uses “3D printing” technology, inspired by the common inkjet printer, refined to handle delicate cells and other laboratory substances. Since the recent development of ways to produce vascular structures (blood vessels) in bioprinted tissue, a simple, juicy steak containing types of muscle cells, fat and related structures won’t be that hard to create. But will it be tasty to eat? Diners may have strange ideas about this new meat, but the process to create it is straightforward. Cells are cultured and grown in quantity in the laboratory. They’re combined in a tissue pattern and herded together into a three dimensional structure by a bioprinter. Special techniques are used to provide structure and support while the cells link up naturally into the final product. How would you order a steak using this process? Special software provides a vision of the final product, from the fat and marbling to the type of meat required. The bioprinter combines the materials under computer direction. The process of individual cells joining up into meat still takes a few weeks, but after that the job is done, and the meat can be prepared and turned over to the chef. Bon appétit!